Years ago, when record labels had robust budgets and bands blocked out recording studios for weeks at a time, it was common to experiment with dozens of different amp, cab, microphone and effect combinations to find the perfect tone. 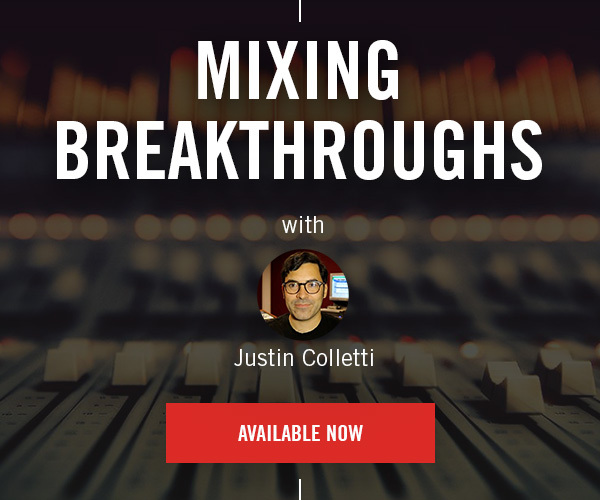 Unfortunately, that’s not always feasible for most modern producers and engineers. 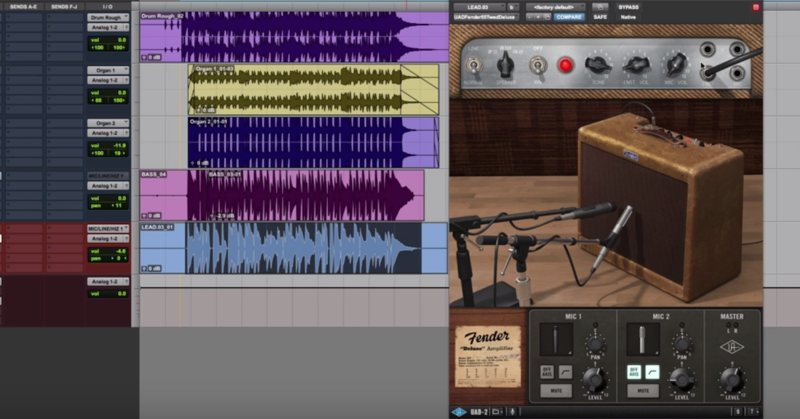 Guitar amp simulators allow you to audition countless guitar rigs based on the hardware behind some of the most iconic guitar tones of all time. 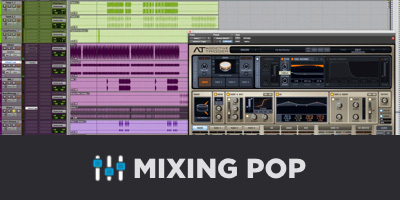 Take a look at some of the most popular modern amp simulators and what makes them stand out. Ignite Amps specialize in designing custom guitar amps, all of which include an amp simulator plugin modeled after your own unique design. Ignite is known for working with heavy metal royalty — some of their most popular plugins are actually emulations of amps designed for major artists. The Emissary is a digital emulation of a custom dual-channel guitar tube amplifier built for Ryan Huthnance of Emissary Studios. NRR-1 is a digital emulation of a three-channel tube preamplifier for guitar, built for Fleshgod Apocalypse guitarist Cristiano Trionfera. SHB-1 is based on the SHB-1 Extreme Bass Head built for Federico Fulceri of Subhuman, featuring six triode stages and a 1300W Class D power amp. Anvil is a digital emulation of a three-channel tube preamplifier for guitar, featuring Clean, Rhythm and Lead channels. The Clean channel is inspired by the classic Californian circuits and the Rhythm channel has a hot-rodded British character, while the Lead channel is a custom algorithm designed for very high-gain settings. Amplitube was originally released in 2002, but it’s come a long way since then. Amplitube 4 is an incredibly robust guitar rig simulator featuring 33 stompboxes, 25 amps, 29 cabs, 12 mics and 15 rack effects units designed to produce hyper-realistic tones. In addition to a variety of proprietary designs, Amplitube also features emulations of the iconic amps from Fender, Marshall, Vox, Mesa/Boogie and Roland. Their advanced cab room emulator allows you to select different cabs as well as the individual speakers within them to find the sweetest of sweet spots — not to mention room selection, mic selection/placement and a mixer section for fine-tuning your perfect tone. 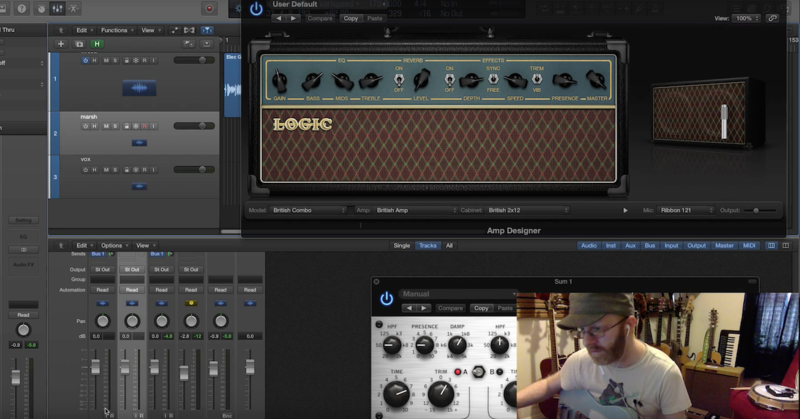 While most amp simulators strive to recreate physical hardware, Joey Sturgis has created a line of all-new virtual amps with Toneforge — many of which were created in conjunction with major artists. Toneforge includes unique algorithms for a variety of pedals, amps, cabs, mics and post-processors. In addition to the stock Menace amp, the Guilty Pleasure expansion pack introduced even more options — and now Toneforge has designed a number of processors with artists like Ben Bruce of Asking Alexandria and Jason Richardson. Designed to “achieve sonic results equal to or beyond those possible in a professional, large-scale recording studio,” Thermionik is a full-blown amp modeling suite featuring 30 legendary guitar amplifiers, 20+ cabinet and five effects pedals. Thermionik is known for its identical recreations of legendary amplifiers — every channel, knob and switch is emulated. Each model is designed as its own dedicated plugin, allowing you to create your ideal signal chain from dozens of unique pieces of gear. In addition to classic Fender, Marshall, Mesa/Boogie and Vox amps, Thermionik also features emulations of boutique amps from ENGL, Diesel, Bogner, Orange, Soldano and Supro. Line 6 has been releasing digital modeling amplifiers since 1996. While Line 6 are well known for their Spider amps and Pod amp modelers, their new Helix series is quickly becoming a favorite of many professional guitarists. Offering a massive collection of emulations spanning 72 amps, 194 pedals, 37 cabs and 16 mics, Helix is designed to inspire. Helix features an intuitive interface that will immediately feel familiar for guitarists. And the best part is Helix Native can be used to transfer tones to the rack effect and pedalboard units in the Helix family, making it easy to transfer your tone to the studio or the stage. Native Instruments originally released Guitar Rig in 2004, featuring three tube amp emulations. But over the years Guitar Rig has grown and evolved. With the most recent release, Guitar Rig 5 offers 17 amps, 27 cabinets and 54 effects. Their award-winning Dynamic Tube Response Technology puts legendary tones at your fingertips in seconds, Native Instruments also offers a free version of Guitar Rig called Guitar Rig 5 Player with a single amp model, 17 cab emulations and 13 effects. TH3 offers an impressive list of hardware emulations, including authorized models of boutique amps from Randall, DVmark, Brunetti and THD. Featuring 72 amps, 37 cabs, 75 pedals and rack edicts and 18 microphone models with up to four mics on each cabinet — TH3 is one of the most robust amp simulators available. As you may be able to tell from the name, BIAS Amp from Positive Grid is all about tweaking the tiniest technical details. BIAS AMP 2 is designed to authentically recreate the sound of real tube amps and allows you to mix and match components to create your ideal tone. Positive Grid partnered with amp legends Celestian Drivers to develop their component emulation technology, which allows you to select almost every component of BIAS AMP’s signal chain, including preamps, power amps, tubes, transformers, tone stacks, filters, mics and of course, a variety of Celestian Drivers. In addition to the original standard, glassy, crunch and insane setting, BIAS AMP 2 features new Blues and Bass amp packs for all of your tonal needs. BIAS FX 2 isn’t just an amp simulator — it simulates pretty much every other component in the signal chain too. As any guitarist worth their salt will tell you, even the world’s greatest amp can’t save a cheap-sounding guitar. With BIAS FX 2’s hyper-realistic Guitar Match technology, you can make any guitar sound like a vintage Strat, a custom Les Paul, a modded Gretsch and more. Create your own pedalboards using thousands of authentic analog-modeled pedals — from classic distortions and delays to far-out fuzz effects and harmonizers. Choose from over 100 of the most popular amp models, including vintage British stacks, classic tweeds, and modern hi-gain madness. Positive Grid has partnered with legendary driver manufacturers Celestion to provide an array of guitar cab impulse responses for incredibly realistic tones. Throw in a studio’s worth of vintage microphones and high-quality analog signal processors, and you’ve got everything you need to dial in legendary guitar tones. The full Elite package offers 100 new amplifiers, 100 new effects, and 200 factory presets to get you started. Not to mention full access to ToneCloud, a worldwide social network of players, engineers and producers creating and sharing custom tones. Scuffham Amps has been releasing boutique tube amp emulations since 2008. The Custom ’57 is inspired by the famous Tweed Amps of the late 50’s. The Duke was inspired by Robben Ford’s guitar tone. The Wayfarer brings together elements from multiple classic American amp designs with three channels and several tone-shaping switches, making this a very versatile amp. The Jackal is Schuffham’s take on a high-gain amp from the 80’s, inspired by Mike Soldano. The Stealer is another highly versatile amp — inspired in part by the memory of an old red Park 75 head Michael Scuffham had during his time at Marshall. S-Gear includes access to all five amps and can be purchased directly from Scuffham or as part of Slate Digital’s Everything Bundle. 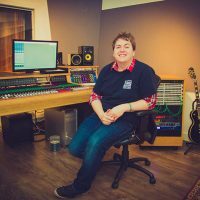 Over the years, Softube has worked with some of the biggest names in the music business like Marshall, Fender, Abbey Road and Universal Audio. In that time, they’ve developed their own bundle of powerful amp emulations, bringing together the best features of a number of classic amps. Softube’s Vintage Amp Room features the White Amp based on the Marshall JCM800, the Brown Amp based on the Fender Twin and the Green Amp based on the Vox AC30. Their Metal Amp Room was co-developed with Patrik Jensen (The Haunted) and tailored to his needs. Metal Amp Room features upgraded microphone emulations, allowing for stereo mics and adjustable panning. The cabinets were measured in the In Flames studio (previously known as Studio Fredman). 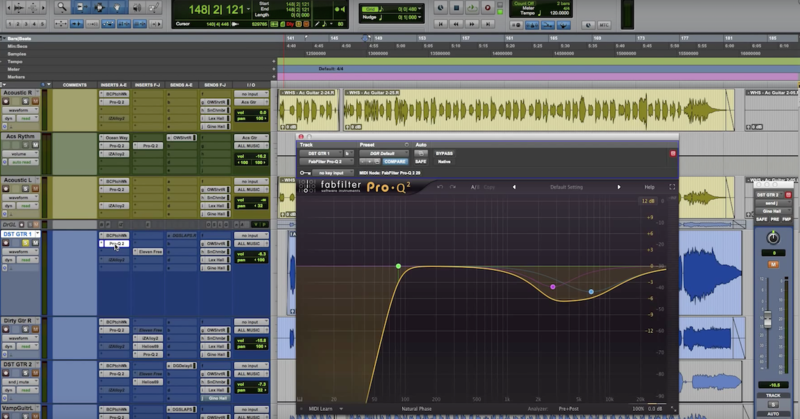 Check out the presets for some of the studio engineers’ personal favorites. Softube’s Bass Amp Room features an emulation of a Hiwatt DR103 amp, an Amp SVT cab as well as a few proprietary options. It would be impossible to do an amp sim roundup without talking about UAD. Over the years they’ve developed some of the most accurate signal processor emulations available — and their amp sims are no exception. With over 16 painstakingly modeled plugins, the UAD amp collection offers everything from vintage analog tube warmth to modern high-gain madness to thundering bass amps. Now that you’ve got a wall of sound at your disposal the hardest part will be deciding which amp to use. I guess things haven’t changed that much since the 70’s after all. Check out these amp sims for some free trials and create a guitar tone worth being picky about! Learn more about getting great amp simulator tones.